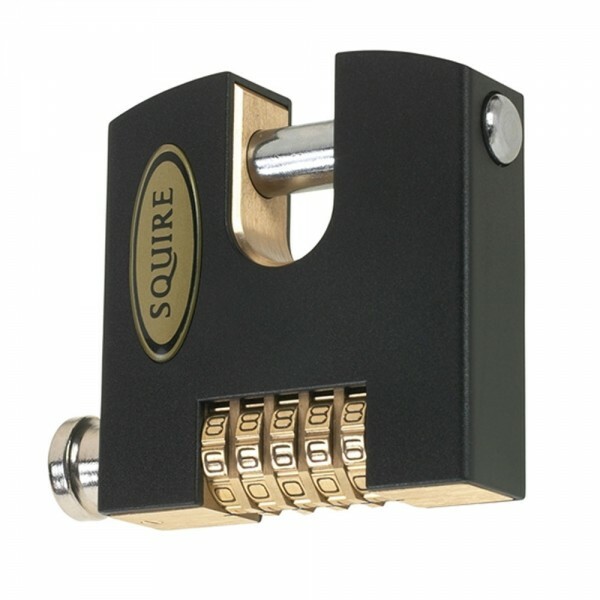 Squire has built the excellent Stronghold Hi-security Combination Padlocks to resist the toughest attacks. The padlocks have hardened steel rotating shackles ensuring high cutting resistance, a solid brass lock body with hardened internal parts for extra attack resistance, encased in aesthetically pleasing black plastic and large solid brass wheels that are easy to use. Running out of combinations for the padlocks will never be a problem. The 4 wheel padlock has 10,000 options and the 5 wheel has an incredible 100,000 choices. Squire has made sure the codes can be changed easily, quickly and not accidentally, guaranteeing total security is maintained at all times. Genuine high security performance. Easy to use even with gloves on. Recodable, patented mechanism. Excellent anti-corrosion resistance.